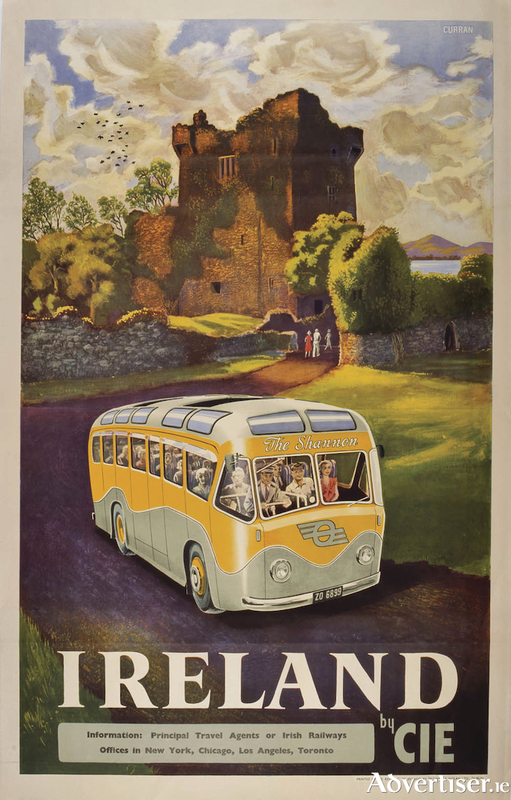 The National Museum of Ireland - Country Life has made a fascinating collection of early travel and tourism posters, used to promote Ireland in the infancy of the tourism sector here, available to view online for the first time. The posters form part of the National Folklife Collection and were previously on display at the museum in the exhibition Come Back to Erin: Irish Travel Posters of the 20th Century, which was curated by the late Dr Séamas Mac Philib. A number of the posters feature images that have become almost iconic representations of a romantic Ireland which marketers were keen to promote throughout the 1900s. The National Museum of Ireland collected the posters to help inform the story of Irish folk culture from 1850 to 1950, which is represented in the Country Life branch in Castlebar, Co Mayo. Part of the museum’s display addresses the question of romanticising the past as opposed to the reality of life in Ireland in the 19th and 20th centuries. The earliest colour posters pertaining to Ireland were produced by British railway companies and the earliest colour lithographic poster in the collection dates to 1908. However, it was largely in the 1920s that advertisers in Great Britain started to capitalise on the potential of poster advertising in particular. Some tourism companies commissioned well-known artists of the day to create images for their pictorial posters. Belfast artist Paul Henry’s poster scenes became iconic, almost quintessential, images of Ireland. View of Connemara (1926 ) and Lough Derg (1927 ) became best sellers and brought great popular recognition for Henry. The largest Irish railway company, Great Southern Railways, was quick to commission well-executed posters in the 1920s also. Its main artist was Walter Till and several of the GSR posters were of renowned tourist locations, such as Glendalough, Killarney, Connemara, and Killiney in County Dublin. The images are similar in many cases, featuring upland well-proportioned landscapes, big skies, lakes, and coasts. The often archaic and undeveloped nature of society that existed in Ireland at this time and which had serious economic implications is manipulated to represent an Irish Arcadia - the idea being to create an attractive marketing image. Noel Campbell, assistant keeper at the National Museum, said: “While obviously beautiful in terms of their artwork, these travel posters demonstrate that independent Ireland was partly responsible for fostering an idyllic and simplistic image of Irish life which we know was far from accurate for many. These posters will no doubt be of interest to our home market but also to the Irish diaspora, many of whom left Ireland during the period covered by the posters, and so it was important to make them available for viewing online."